In Brazil, municipalities foot the bill for urban street cleaning and waste collection. Cities contract with vendors to provide these services. For most cities, tracking the vendors and ensuring they follow contract terms to the letter can be a challenge. RasSystem, headquartered in São Paulo, offers a software-as-a-service (SaaS) solution to meet that challenge, powered by Internet of Things (IoT) devices and GPS. 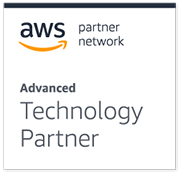 RasSystem is an Advanced Technology Partner in the Amazon Web Services (AWS) Partner Network (APN). Its leading app, RasCol, helps cities monitor, audit, and manage the mobile resources used in urban cleaning operations. AWS Cloud services underpin the company’s products. RasSystem uses Amazon Elastic Compute Cloud (Amazon EC2) to provide secure and scalable compute capacity. Software users rely on Amazon Relational Database Service (Amazon RDS) for PostgreSQL as a scalable relational database that captures, organizes, and offers access to all the data generated by users of the RasCol software. RasSystem products support continuous monitoring and allow customers to retain and access five years of data online. That storage is powered by Amazon Simple Storage Service (Amazon S3) and by Amazon Glacier, which offers long-term, low-cost storage. The IoT tracking devices transmit data to the cloud so RasCol software users can see the progress of urban cleaning and collection operations in real time. The system tracks where cleaning vehicles are located, which streets have been cleaned, and at what time. The software notes if cleaning teams are behind schedule, as well as any deviation from the day’s objectives. Using the software, city officials can estimate the daily demand for street cleaning and waste removal. That information can also inform and improve street-cleaning plans. If required, cleaning teams can document their work by taking photos before and after each cleaning stop. Documentation can also be used to alert city officials to overgrown vegetation preventing clean-up operations, drain obstructions, and which dwellings or businesses are large waste generators. Plans for grass cutting and curb painting can be coordinated so that one operation doesn’t hinder the other. With 1.65 million residents, Recife is among Brazil’s largest cities and is a leader of the country’s smart cities movement. The municipality aims to use smart technology to streamline city management, improve accountability and transparency, and raise the standard of living for its citizens. Improving the city’s urban cleaning program was seen as a positive step toward achieving those goals. With access to the data provided by RasCol, TPF began tracking improvements via key performance indicators. Since adopting the RasCol solution, the regularity of cleaning operations has improved by 15 percent. With the improved efficiency of the cleaning operation, the number of kilometers cleaned per month has now decreased from 25,000 to 11,000. Since cleaning services are paid by the kilometer, this reduced monthly payments by US$250,000 a month. Recife now maintains better control over its monthly budget allotted to cleaning and has realized greater operational efficiency and transparency over its urban waste services. “Knowing that the RasCol software relies on the AWS Cloud has been tremendously important to the success realized by Recife in improving urban waste collection,” says Scalia. “The city doesn’t have to spend energy managing databases or infrastructure. It can focus fully on monitoring procedures and operations instead.” In addition, the success has sparked interest among other municipalities across Brazil, so Recife can serve as a smart city model of innovation and efficiency. Learn more about Amazon Elastic Compute Cloud (Amazon EC2). With 1.65 million residents, Recife is among Brazil’s largest cities and is a leader of the country’s smart cities movement. The municipality aims to use smart technology to streamline city management, improve accountability and transparency, and raise the standard of living for its citizens. Recife needed to improve its urban cleaning program by monitoring 26 cleaning services. Recife implemented RasSystem's RasCol solution to track cleaning operations. RasSystem is a software company that creates apps used to track and improve urban cleaning and waste collection management. Using IoT devices and GPS, RasSystem apps monitor and gather data about city cleaning operations.